Mezzanine debt is a bit of an odd duck. It is structured like a loan, and has an interest rate and a requirement for principal repayment. Yet the loan size is not determined by an asset formula but rather by the level of a company’s cash flow. Mezzanine lenders see value in the future cash flow and structure their loans upon a multiple of cash flow. The loan is usually well beyond the asset values on a balance sheet, and can be used to fund transformative events such as acquisitions, buy-outs, and fast growth. This makes mezzanine debt a powerful tool for growth. Despite its high impact effect, it is often misunderstood and not easily accessed by business owners. The key to raising mezzanine debt from mezzanine lenders is to use an effective process that presents a well-structured deal, with a quality presentation, to the right universe of mezzanine lenders. This is far easier said than done! Structuring advice is required to ensure that loan will fit within the proper criteria for mezzanine debt. Criteria vary based upon the size of the loan, the industry, historical profitability, and use of the proceeds. 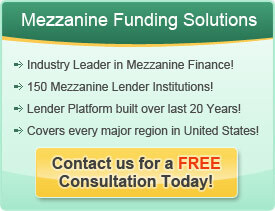 A highly professional presentation that utilizes familiar mezzanine lenders format is recommended. A growth story coupled with a downside protection case is required to pique the interest of the mezzanine lender. And the mezzanine lender wants someone that has experience in bringing them deals. This will give you instant credibility and ensure you are getting to the right person.